Presidential Online Bank is a division of Presidential Bank, FSB, and was founded in 1995 to be the Internet/direct to consumer arm of Presidential Bank. Presidential Online advertises itself as “America's 1st Online Bank” because it was the first bank in the US that let customers open accounts online. It offers mortgages and personal loans as well as high yield savings accounts, CDs and other banking products. Presidential Bank, FSB, is a community bank created in 1985. The company, headquartered in Bethesda, Maryland, has grown steadily, and today the bank has over $400 million in assets. Presidential Bank has nine banking branches in the metro DC area, which means Maryland, Washington D.C., and Virginia. Presidential is one of the largest mortgage lenders in metro Washington D.C. 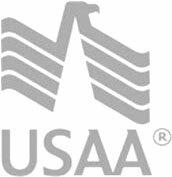 The company offers a variety of home loans, including 15 and 30 yr fixed rate loans, 5/1 and 7/1 adjustable rate mortgages (ARMs), and VA mortgage loans.